I thought I would share with you a birthday card I made for my Son. I got the idea from Christine Emberson's blog, which is hope-chances.blogspot.co.uk. 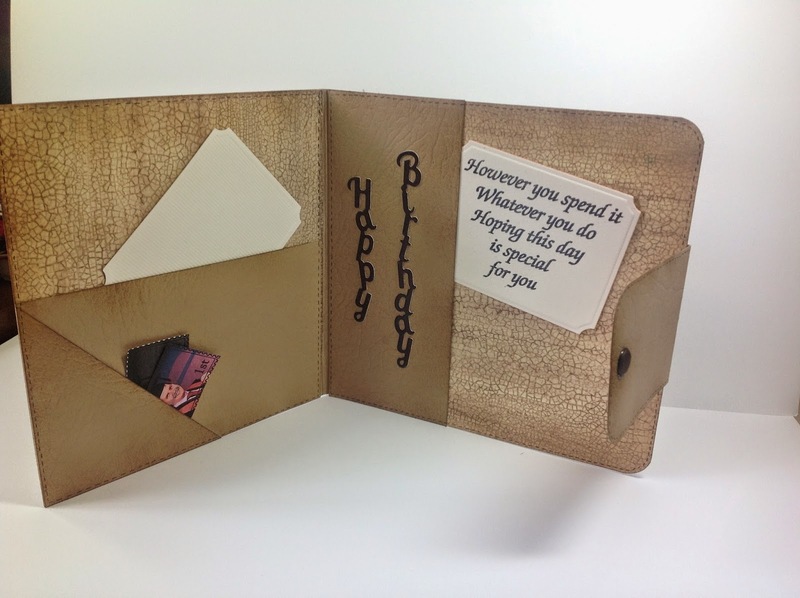 Christine featured Angela Dobson blog, (Angela is on the Papermill Direct design team), where she showed some cards she made using Papermill Directs leather effect card. 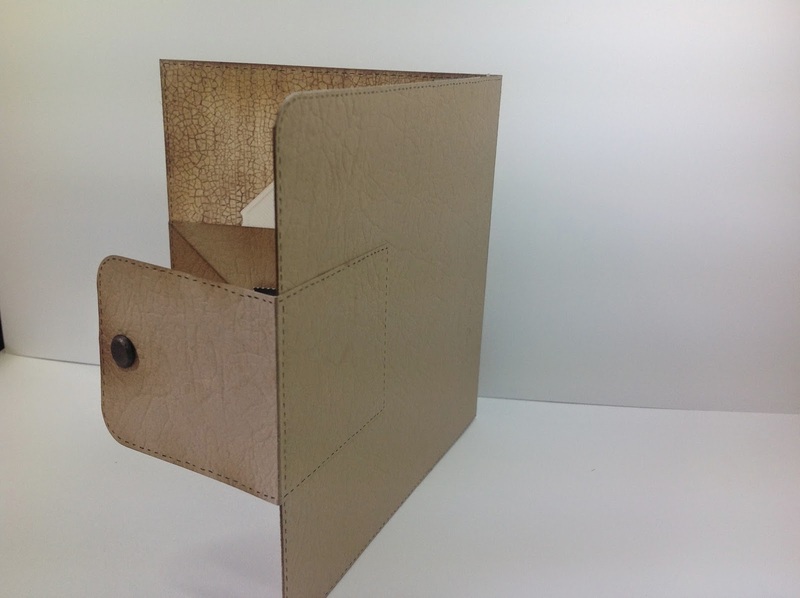 The Leather effect card comes in white and buff colour, which is the colour I used. Christine Emberson sells this card in her shop, in Gravesend, Kent. 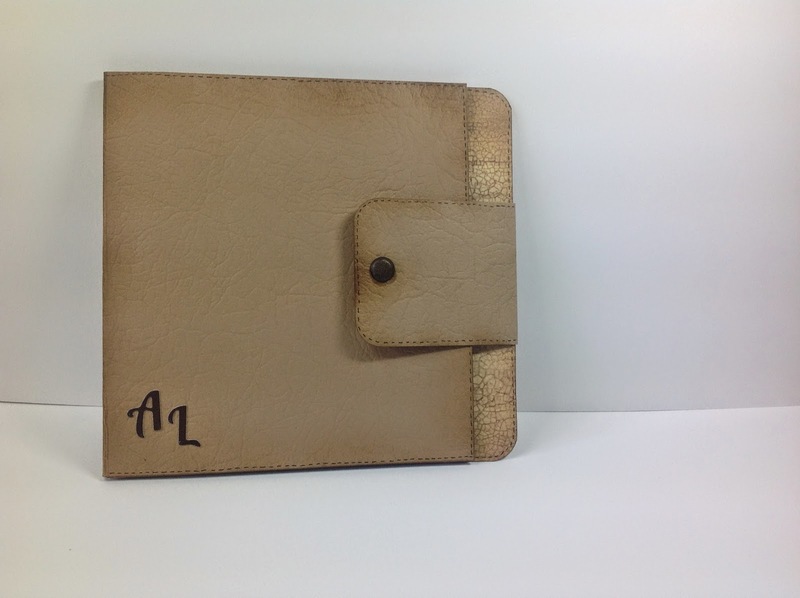 I inked the edges of the card with Tim Holtz distress ink, to make the wallet looked used. I covered the inside of the wallet with some paper I had in my stash, which matched nicely. 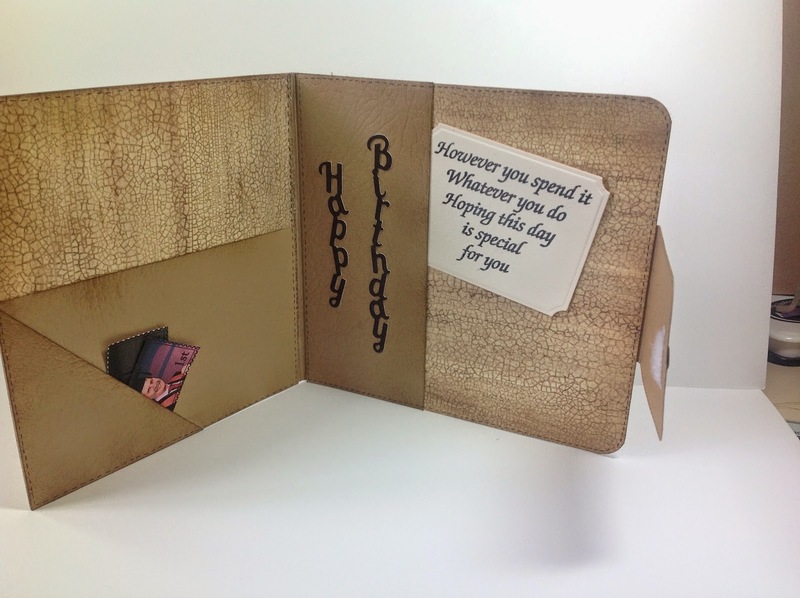 I cut some more leather effect card to make the pockets to hold the messages. The message cards are cut with Spellbinders label dies. As you will also see there are couple of stamps in one of the pockets. I photo copied a small photo of my son and them used a 'postage stamp' stamp from Clarity stamps and cut out. The last piece of card I cut was for the closure, I used a little piece of velcro, so it would close and a brown caddy dot. To finish the look, I used a fine black marker around the edge of the wallet to look like stitching. I think it made a nice male card, so I think I will be making a few more. I love your card, it is really good for the men in our lives. I made one (also inspired by Christine) for my son in law, I had some old stash dark grey leather look card so that was handy. I must get down to Christines shop and buy some more. Well done on your card it's absolutely fab. Fab card Sally, something really different. I'm sure your son was very impressed!